For the past 7 years I have been involved with the Having a Say conference, which is held in Geelong in early February each year. 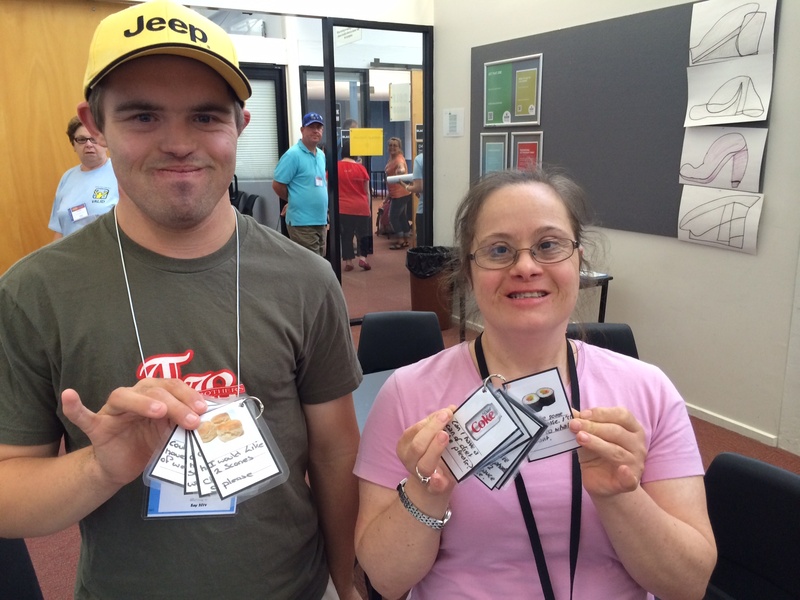 The Having a Say conference is the largest conference for people with a disability in Australia. This year 1100 people came to the conference. The conference is coordinated by VALID a Victorian advocacy organisation for people with disabilities. There is also a local organising committee, of which I am a member. The committee meets monthly and discusses the program and social events for the next year’s conference. Members of the committee comprise people with disabilities, family members, staff from VALID, community volunteers, a councillor from City of Greater Geelong and staff from local disability services. The conference has a mixture of presentations, information sessions, workshops, Come and Tryactivities and social activities and is always motivating and a lot of fun for those present. Many people return year after year and some of them are inspired to present their own story or experiences at the conference. The theme of this year’s conference was “Our Voice”, which is about people talking to each other, speaking out together and our voice breaking through. All members of the organising committee have a role to play during the conference. My role is to support people with disabilities to chair presentations during the conference. This means that I get to hear many presentations that are usually also presented by people with disabilities and focus on their achievements, goals and dreams. This year I was also able to support Hank Wyllie with his presentation about his experience with communication disability and the many communication supports that now comprise his voice. Given the theme of the conference Hank’s presentation was very well received. Local organizations and other services that support people with disability, put on a display of their products and services during the conference. Scope has a stand where I spend my time during the morning, lunch and afternoon breaks, promoting the Regional Communication Services across Victoria. Over the years I have been able to point many people in the direction of their Regional Communication Service and have also encouraged delegates from other states to think about how they can achieve a similar service in their state. This entry was posted in Uncategorized on April 24, 2014 by crcscope. ‘Good Things’, which we previously posted about here, is now live on YouTube. We hope this video will help raise understanding about the importance of communication to leading a good life in a group home. The video is available at https://www.youtube.com/watch?v=PljrI54od6A, or you can watch it below. Please share the link with your friends and colleagues and send any comments to [email protected]. This entry was posted in Uncategorized on April 16, 2014 by crcscope.